Now the WWDC 2011 keynote does go on for quite a bit of time, with the Apple guys spouting everything Apple, and no doubt many simply don’t have the time to watch a full video of the entire WWDC 2011 keynote; however if your are in a bit of a hurry there is a shorter version of the WWDC 2011 keynote, which we have for your viewing pleasure below. This shortened version of Apple’s event keynote comes our way courtesy of the guys over at Daily iPhone Blog and by way of YouTube user RoberttoMariaVadala, and condenses the WWDC keynote down to a nice comfortable 120 seconds. 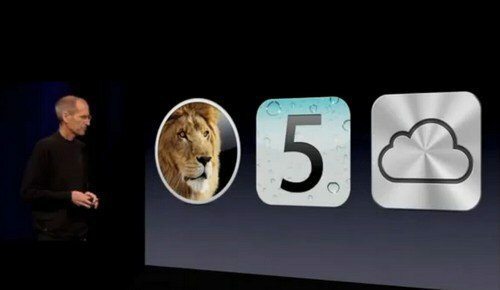 The short version starts off with iPhone guru Steve Jobs then quickly moves on to Mac OS X Lion, then on to iOS devices, then iOS 5 of course and Notification Center, iMessage, and iCloud. So if you missed anything in the WWDC 2011 keynote or simply haven’t had the time you can head on down and mash the play button to get the gist of Apple’s software event in 120 seconds…enjoy, I don’t think they missed anything important out.